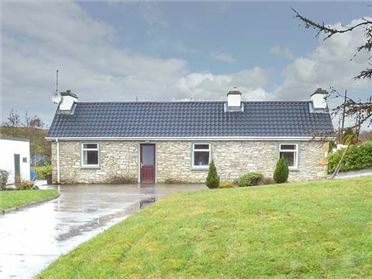 Moyasta House is a detached cottage on the edge of the sea just four miles from Kilkee, County Clare. 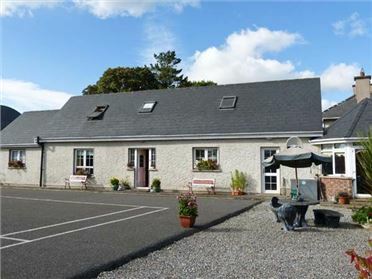 The cottage sleeps eight people and has two double bedrooms, one family room and a family shower room. Also in the cottage is an open plan living area with a kitchen, a dining area and a sitting area with a multi-fuel stove. Outside is off road parking and a patio garden with outdoor furniture. 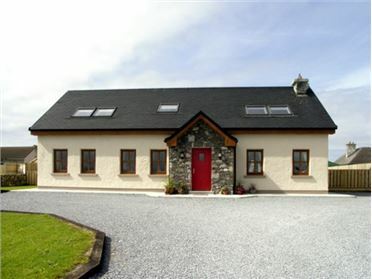 With stunning sea views, yet just a short drive to Kilkee, Moyasta House is a lovely family holiday home. 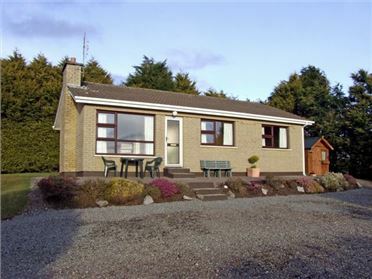 Oil central heating with multi-fuel stove in sitting room. Electric oven and hob, microwave, fridge/freezer, washer/dryer, dishwasher, TV with Freeview, DVD, CD/radio, selection of books and games. Fuel, power and starter pack for multi-fuel stove inc. in rent. Bed linen and towels inc. in rent. Ample off road parking. Patio garden to front and rear with furniture. Sorry, no pets and no smoking. Shop 2 miles, pub 1.5 miles. Coast 20 yards. Note: The first floor double bedroom is accessed via the family room. Note: Although this property is pet free, the owner does keep a dog. Note: This cottage is right on the water's edge, children to be supervised at all times.